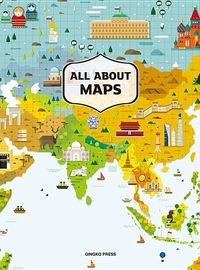 Graphic designers and illustrators are todays cartographers, charting lands real and mythic, from gorgeous renderings in the fields of travel and recreation to stylized representations of the worlds of our favorite games or fantasy series. Tangible or virtual, maps have the singular ability to show us our place in the world, from where we are to where we are going. At the same time, they can convey information in a graphic way that enhances our experience of those places through creative embellishment. Some include infographics, which elevate their functionality, while others offer beautiful simplicity, incorporating stunning artwork more appropriate for gallery walls. Whereas the mapmakers of previous centuries used their abilities on limiting the unknown, todays pioneering designers are focused on showing us what is possible.